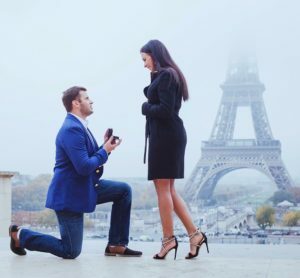 It’s no secret that many brides-to-be are choosing to go a more untraditional route in regards to their engagement rings. 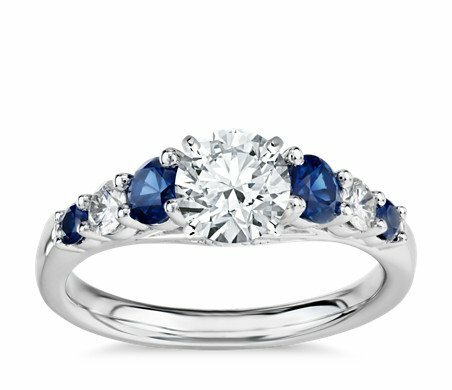 The first notable example of gemstone engagement rings was Kate Middleton’s sapphire blue engagement ring. Since their engagement in 2010, the gemstone engagement ring trend hasn’t slowed down. If you’re considering a gemstone engagement ring, it’s important to know all the pros and cons of this stunning piece of jewelry. As Jupiters most trusted jeweler for over 25 years, we’re experienced in gemstone jewelry as well as engagement rings, and we’re here to offer our expertise to help you choose the best ring for your needs. 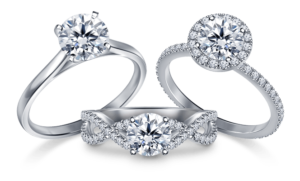 Diamond engagement rings have been a symbol of love and commitment for centuries. The first diamond engagement ring was created in 1477, and became a trend amongst European aristocracy and nobility. Diamond engagement rings have clearly stood the test of time and echo a lifestyle of tradition, luxury, and timeless beauty. Diamonds are among the strongest materials on earth, and very few things can break a diamond. However, diamonds are not impervious to scratches and dullness, so it’s important to have your diamond engagement ring carefully stored in a jewelry box when not worn. A professional jeweler can clean and repair the scratches in a diamond. While diamond value tends to fluctuate with the supply and demand in today’s marketplace, a quality diamond is a significant investment. However, compared to a gemstone, a diamond usually sustains its value over time. If you take careful steps to preserve and protect your diamond, you’ll help to ensure that it will retain and possibly gain value. There’s really no wonder as to why gemstone engagement rings have become more popular. Gemstones offer a beautiful and unique expression of commitment, and with the variety of rings to choose from, there’s a special ring for every bride. Many younger couples are increasingly choosing to opt for engagement rings with colorful stones such as rubies, emeralds, and sapphires. Like any fine jewelry, gemstone jewelry needs consistent care including cleaning and repair. Gemstones aren’t quite as strong as diamonds, and although rubies and sapphires are quite durable, they are more susceptible to scratches and cracks. Be especially careful with especially fragile stones, like opals and pearls. Be discerning about the kind of gemstone you choose for your engagement ring. Certain gems are not suitable for engagement rings because their mineral structure is too weak. They could chip, break or get surface damage while you take a shower, clean the house or expose them to heat. As a general rule of thumb, you should stick to rubies, sapphires, and emeralds. Their mineral structure gives them the desirable durability that will hold up longer. You can find these gemstones in a variety of shades, so you are not limited to red, blue, and green. Avoid pearls, garnet, turquoise, and amber, as they are too soft to make viable engagement rings. These gemstones are better suited for fashion jewelry that is worn on occasion, not every day. Gemstones generally cost less than diamonds, although prices are beginning to rise dramatically for certain gemstones. Gemstone jewelry that well cared for can retain its value in the long term, but it is not considered investment jewelry. If you decide to buy a gemstone engagement ring, you should do so because you want to and it suits your style, not because of the investment. WHICH ENGAGEMENT RING SHOULD YOU CHOOSE?